Cristiano Ronaldo has posted a picture on his twitter from his private airplane. 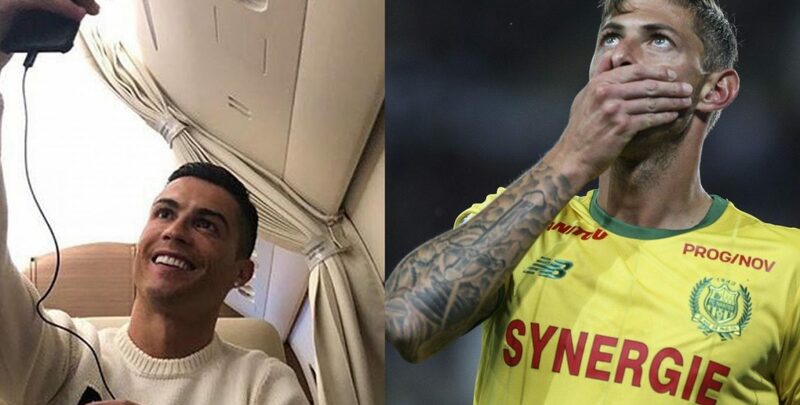 Portuguese international was criticised by fans for doing this in a critical situation, as Cardiff City newcomer Emiliano Sala was on the board of the airplane that has disappeared on Monday. Lineker has broken silence on Ronaldo’s post. Cardiff City’s record signing Emiliano Sala was on a flight which disappeared between France and Cardiff last night. The plane was travelling from Nantes to Cardiff when it went off the radar. John Fitzgerald, chief executive of Channel Islands Airsearch, spoke: “I do not think they are still alive”. Emiliano Sala only signed for Cardiff City in a record £15m deal on Saturday. However, Sala was on board a private jet which disappeared near the Casquets lighthouse on Monday evening.